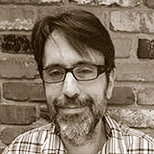 Raymond Camden is a developer advocate for IBM. His work focuses on LoopBack, API Connect, Bluemix, hybrid mobile development, Node.js, HTML5, and web standards in general. He's a published author and presents at conferences and user groups on a variety of topics. Raymond can be reached at his blog (www.raymondcamden.com), @raymondcamden on Twitter, or via email at raymondcamden@gmail.com. In this webcast I'll talk about why you would use static site generators, how they work in general, how one (Harp) works in particular, and discuss how to add dynamic aspects back into the static site.